Britain’s gas comes from its own gas fields in the North Sea, Norway and the continent by pipeline, we also receive gas from other parts of the world by ship using a technology called Liquefied Natural Gas (LNG). It is the most widely-used heating fuel in the UK, and one of the cheapest options available to consumers. 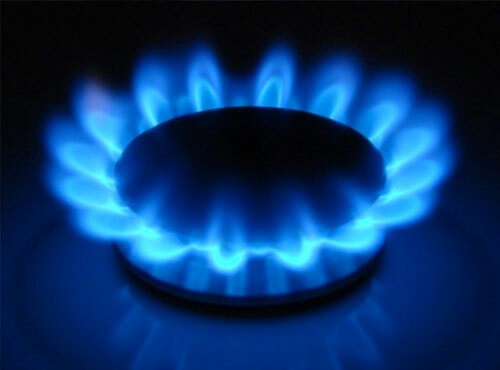 However, not all homes are on the gas network and other fuel sources will be required. Gas is piped directly to your home so you don’t need to store any fuel. The UK is no longer self-sufficient in gas and must compete with growing demand from other countries which may drive prices higher. Gas central heating boilers should be serviced every year to ensure they are in good working order. Anyone proposing to carry out work on your boiler is required by law to be on the Gas Safe Register. You can check an engineer or firm’s registration on the Gas Safe Register website or by calling directly on 0800 408 5500. Installing a gas central heating system from scratch can be expensive and disruptive. If you’re not on the gas network, connecting your property can also be costly. 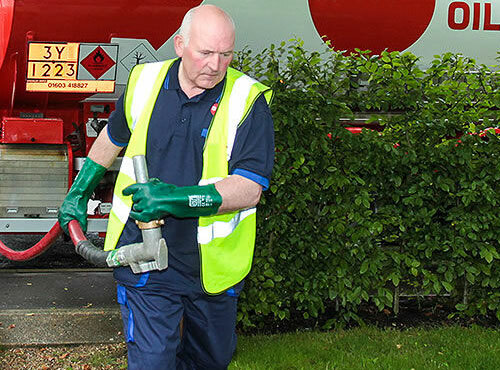 LPG or Liquid Petroleum Gas is propane gas that is bottled in cylinders, it’s normally used when houses do not have gas mains nearby for a natural gas supply. The main difference between mains gas and LPG central heating is that LPG is delivered by road and stored in a tank, which you may have to buy or rent from your supplier. LPG central heating is normally used in a ‘wet’ heating system where an LPG-fired boiler heats water, which provides central heating through radiators and hot water through the taps in your home. As LPG is delivered by road there is a possibility that you could run out while you wait for your next delivery. However, systems that monitor the amount in your tank and automatically notify your supplier when it needs topping up are available. Installing an LPG central heating system from scratch can be expensive and disruptive. The storage tank can also be unsightly (although this can be resolved by choosing an underground tank). Oil is used mainly in heat-only and combination condensing oil-fired boilers, but sometimes fires and cookers use it as fuel. An oil-fired boiler will typically be more expensive than an equivalent gas one, so oil fired central heating remains relatively rare. Most condensing oil-fired boilers are floor standing, you may have problems trying to find a wall-mounted model. They will also need to be plumbed in to allow acidic condensate liquid to drain away. As oil is delivered by road there is a possibility you could run out while you wait for your next delivery. However, there are systems that monitor the amount of oil in your tank and automatically notify your supplier when necessary. Oil boilers and heating oil tanks need servicing annually to ensure they run efficiently. Solid fuels have been given a boost thanks to the popularity of wood-burning stoves. But there are also fires and burners for solid fuels like coal. 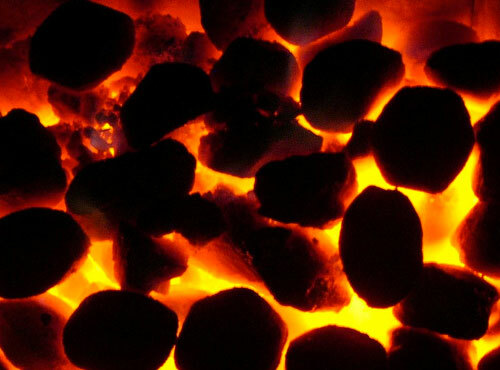 Coal has a much higher energy density than wood – i.e. more heat can be delivered from a given volume of fuel – some stoves and fires are capable of burning both kinds of fuels. As with oil, coal presents some issues with storage and it can be cumbersome to move from its storage place to feed a heating system, although some coal-fired boilers have gravity feed options to lessen the need for topping up.